Delays occur frequently on the Long Island Rail Road, and the MTA sends explanatory messages to subscribers when they happen. Just about every communication can be attributed to one of five unique issues, and more often than not, the statements are useless. I assume the MTA Communications department office has a large, prize-style "Wheel of Blame" to determine delay messages. They spin the wheel, an item comes up, and click "send." Communication responsibility fulfilled. Is it accurate? Who cares? Let's review the slots on the Wheel of Blame. Track condition. The "track condition" is a favorite of the MTA, because it is meaningless. Does the track have a medical condition? Has a doctor been called? Is the track being "conditioned?" Is someone putting conditioner on it? Well done, MTA. Continue to report these, and we commuters will continue to scratch our heads. Disabled train. The MTA reports this one begrudgingly. Why? Because it's hard to blame someone else when a train is disabled. The MTA is responsible for the state of trains. Now, if a train becomes disabled due to a track condition, that's the ideal situation for the MTA. Blame deflection measures can be taken. Unauthorized person on the tracks. Every time I hear this one, I know someone ended it all or tried unsuccessfully to go around the crossing gates. The MTA sends this one out with great pride, because the blame is easily passed on. Equipment problems. Well, what's the problem? Is it a disabled train? Is it a track condition? Is it signal trouble? Is a conductor's ticket puncher broken? We'll never know, and that's a good thing for the MTA, because a confusing message is the MTA's best tool. 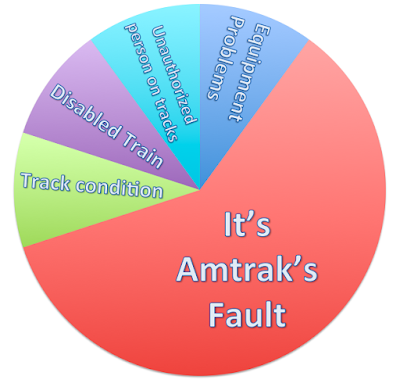 It's Amtrak's fault. Last, and most definitely not least, Amtrak problems. "There's an Amtrak tunnel issue." 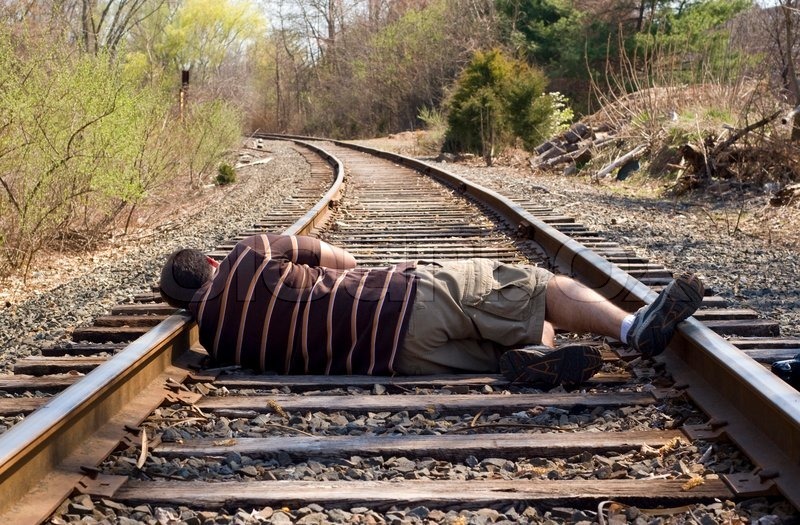 "A derailed Amtrak train has snarled train traffic." "An Amtrak conductor is suffering from gout and hangnails." The list goes on and on. When Amtrak is blamed, it works out well for everyone. The LIRR gets to blame someone else, and Amtrak doesn't care if the LIRR is snarled. TTIV wonders what it's like in the MTA Communications Office. Maybe bets are made before that wheel spins and employees go home with prizes. I feel bad for the guy who loses a lot of money, he has to go home and explain to his spouse where his paycheck went. Nah, never mind. He can just blame it on a track condition. If you enjoy TTIV, tell a friend! You've read this far? Great! 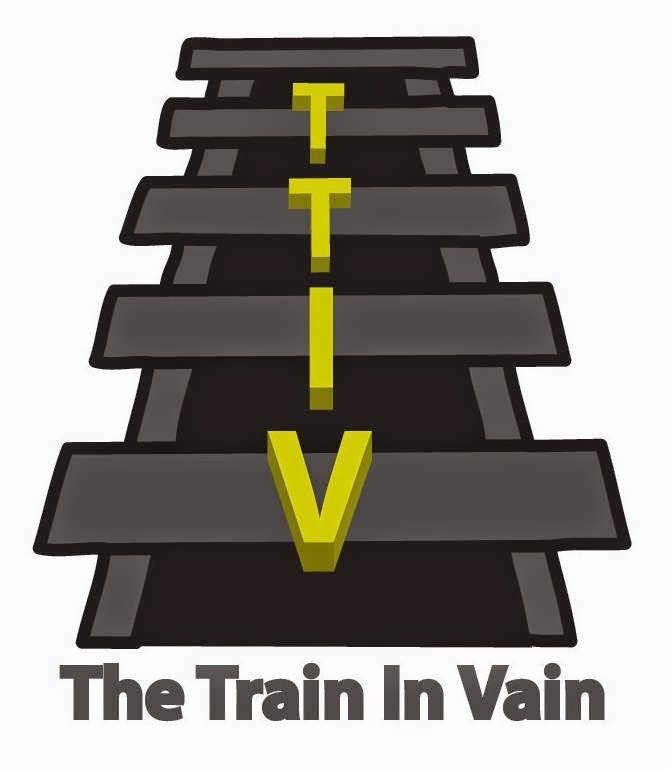 Don't forget to join TTIV on your favorite social media platform! And click the ads on this website!